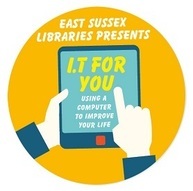 You are receiving this newsletter because you told us you wanted to hear more about the libraries in East Sussex. You'll receive regular updates telling you all about the latest goings on across the Library and Information Service. 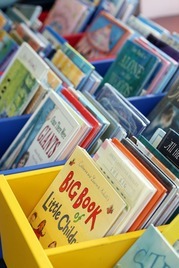 Primary school teachers in East Sussex can now benefit from the new library offer to schools. Each term teachers will be able to select from a special collection of carefully chosen titles to support their teaching and encourage children to read for pleasure. Teachers can find further information about the benefits and details of how to apply for a Teacher's card on the czone website for education providers. Now that autumn is almost here, why not pop into a library and learn a new skill. We run basic IT sessions called IT for You, in nine libraries across the county. Come in to meet our trainers who will have a chat with you and introduce you to our free online courses. Health walks, theatre shows, playing football and learning to use iPads. 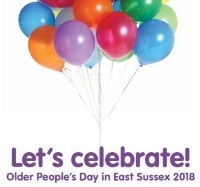 Throughout September and October East Sussex will be celebrating older people's day with events across the county. Find out what is happening in your area on our website or pick up the booklet of events from your local library. Wellbeing bags, aimed at young people aged 11-18, are now available from East Sussex Libraries. With information about local support groups, tailored advice and interactive resources, the bags encourage teens to take ownership of their mental, physical and emotional wellbeing. The bags are free to borrow and can also be used by schools and other organisations. Find out more about our wellbeing collection and reserve your bag from our catalogue. 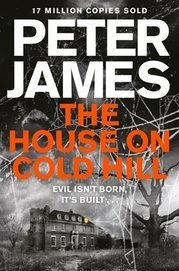 BBC Radio Sussex Book of the Month for October is Peter James' 'The House on Cold Hill', chosen by East Sussex Libraries. Peter James will be in the BBC’s London Studio to join in with the discussion about his book and answer listeners' questions. Tune in on Wednesday 3rd October at 2pm to BBC Radio Sussex at 95.3FM/104.5FM to be part of the Book Club. This novel by the acclaimed crime writer Peter James is a classic ghost story set in an even more classic location of a haunted house. This house, in the beautiful Sussex countryside, is to be the dream home of solicitor Caro and her family, but all is not what it seems! Creepy and intriguing, this ghost story with a modern twist will have you gripped. Peter James, as always, delivers suspense and tension to make for an excellent read. Reserve your copy from an East Sussex Library or download the eBook now. 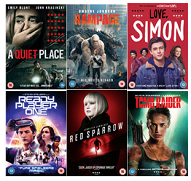 With some of the most talked about films of the year being released on DVD this month, why not borrow a DVD from one of our libraries? DVDs can be borrowed from as little as £2, and from £3.50 for the latest releases. DVD Sale at Bexhill Library from Saturday 22nd September.